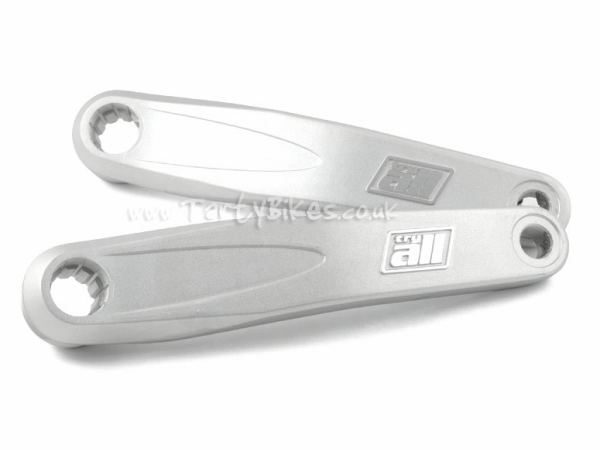 Titanium upgrade pedal cage bolts from Stan! - Countersunk M5 bolts from Stan, constructed from 6Al-4V titanium alloy. 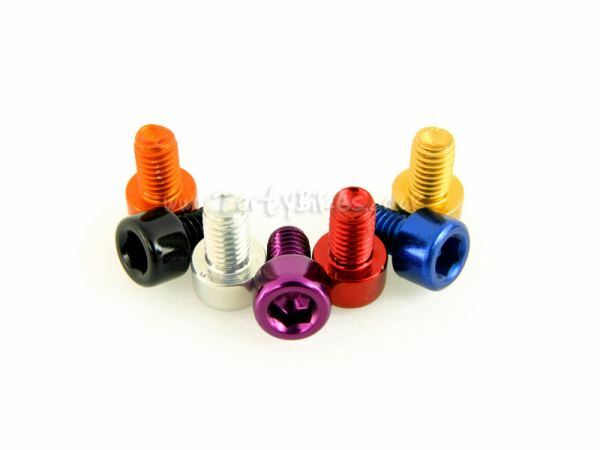 - Suitable for use in almost all single cage pedals requiring M5 bolts (e.g. Try-All Superlight, RockMan Single Cage, Echo TR, etc.). - Anodised rainbow finish looks great! 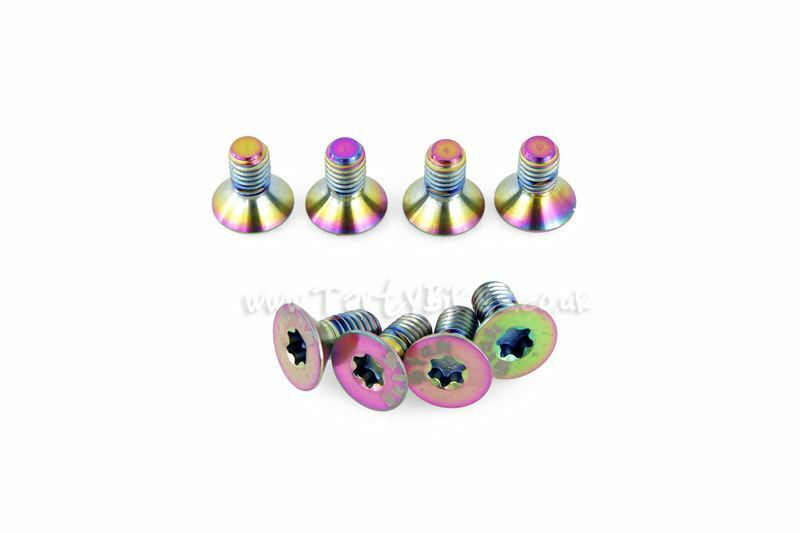 Please note: Due to the way rainbow parts are anodised, their precise colour patterns may vary slightly. - T25 Torx Key required for fitment. 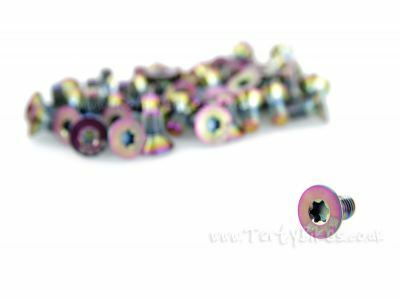 Please note that titanium anodising is different to aluminium, in that it is a surface coating rather than a dyeing process. Due to this, it is less durable and can fade / wear off after repeated rubbing. 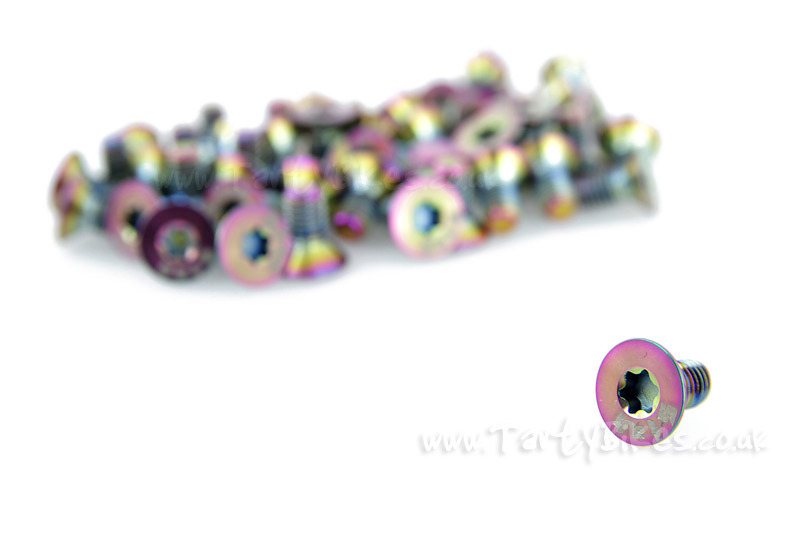 Always use a good quality torx key when fitting this item and apply copper grease to the threads before installation. Do not overtighten. Hey guys. 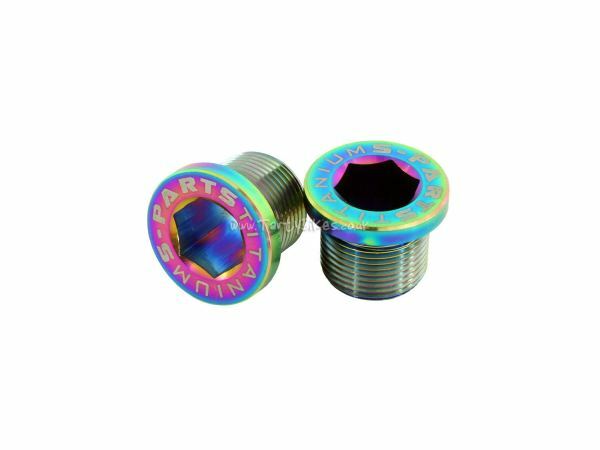 Would these fit the Trialtech Sport Lite pedals when using them without those little washers between the cage and the pedal body? Hi Nico - thanks for your question. These bolts are the same size and thread as the standard bolts in the Trialtech pedals so should fit, though the washers are what make the cage fit the body properly so they should really be fitted. Thanks, Flipp. This is my first set of Stan bolts. The quality is great! As expected from high grade ti bolts, the threads and torx heads are nice and tight. And they look great!